Siao Yu needs a Green Card. Mario Moretti needs his debts paid. Getting married could solve their problems, or multiply them. 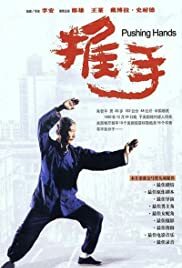 This film demonstrates that an important issue, the aging of one's parents, can be blended with comedy and kung-fu successfully! Rarely have I seen the highest level of martial arts, internal kung-fu, portrayed in it's proper perspective. It is hard these days for people to realize that 'soft' style kung-fu will enable an old man to defeat many young men without much effort. With all the silly 'wire-fu' out there in the movies most people have no idea that there is a subtle way to defeat strength through 'chi energy' power lines. There is no question that Ang Lee has the ability to put kung-fu back at the top of the martial art world. Through his well thought out story line and his perfect blend of drama and comedy he has taken a deep look at the struggle that exists today for thousands of people as they care for their elderly parents. This is truly a movie that can bond many generations.